Scent can help transform your feelings and empower you to feel the way you want to. 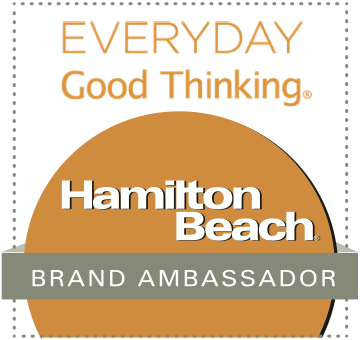 Think about it…when you bake a batch of cookies, the heavenly smell coming from your kitchen is the first thing you notice. 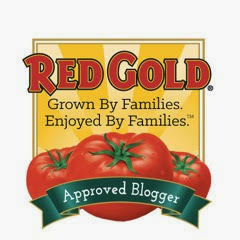 It makes your mouth water and makes you anticipate the delicious treat that’s coming your way! The powerful connection between scent and emotions is exactly why my friends at Glade® offer a range of 37 different scents. Each scent evokes different feelings and empowers you to feel the way you want to. Selecting a scent is a personal signature that reflects how you feel at a given moment…or how you want guests to feel when they enter your home. Bottom line: scent sets the mood! Glade® recently sent me a selection of their seasonal wax melts and an electric burner. The task was for me to heat the wax melts and let the scent empower me to create a complimentary recipe to complete the mood! I quickly decided their Blooming Peony & Cherry™ was speaking to me! This scent features bright, zesty notes of cherry and red fruit…along with delicate floral notes of pink rose and peony. Relaxing scents of white woods and creamy musk balance the equation and set the mood for relaxation and romance. For me, the fun and flirty scent evoked thoughts of a simple dessert featuring cherry and chocolate. 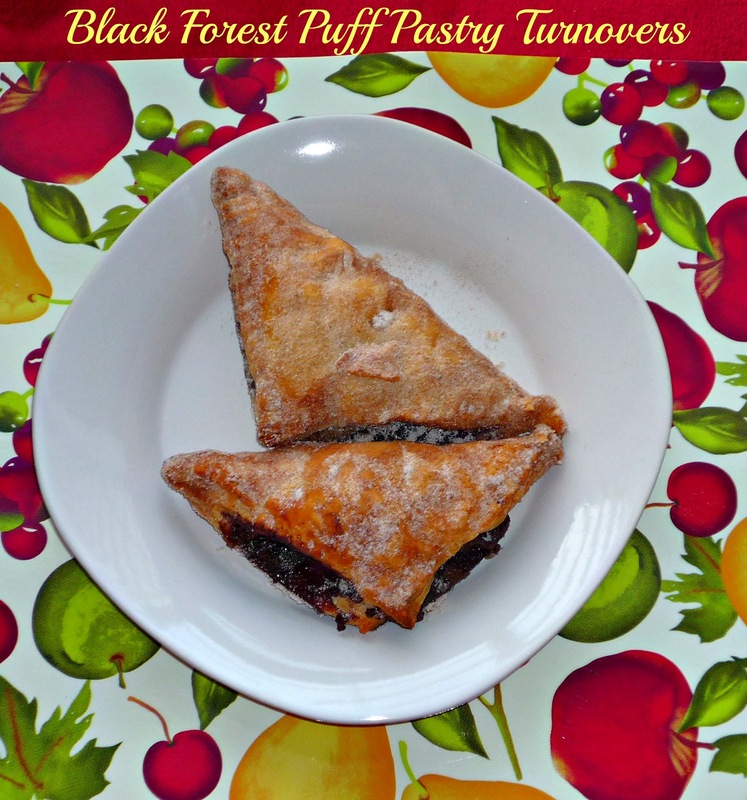 The end result was my fun Black Forest Puff Pastry Turnovers. Imagine flaky pastry surrounding sweetly tart cherries, semisweet chocolate, and a super creamy cocoa cream cheese filling – swoon! Because I used convenient squares frozen puff pastry, these decadent turnovers are a snap to make. So let’s warm some Blooming Peony & Cherry™ wax melts and get baking! Before you know it, your house is going to be smelling heavenly. Step 1: Preheat oven to 350 and line a rimmed baking sheet with parchment paper or a Silpat. Combine the filling ingredients in a small bowl. 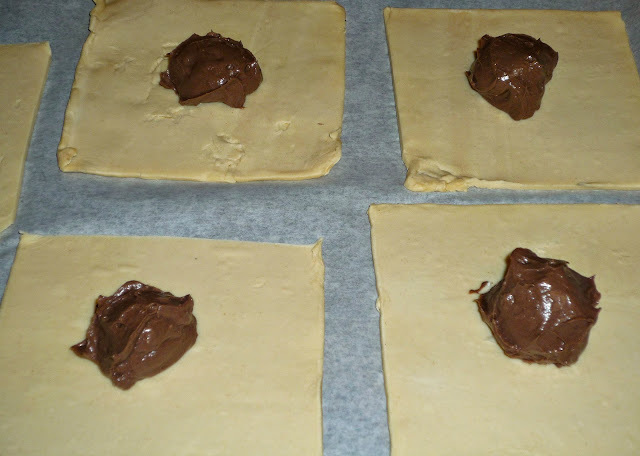 Cut the full sheet of puff pastry into four large squares, then cut the other half sheet into two large squares. 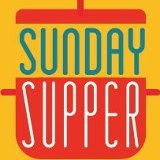 Place the puff pastry squares on the baking sheet. Place approximately 1.5 tbs. of the filling mixture in the center of each square. 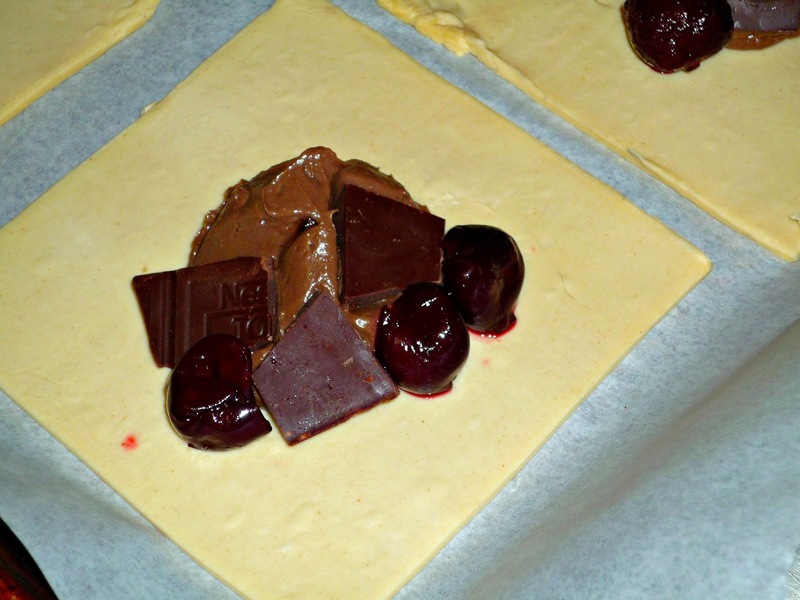 Step 2: Add 2-3 squares of chocolate and three cherries to each square. Carefully fold the puff pastry over the filling ingredients to form a triangle. 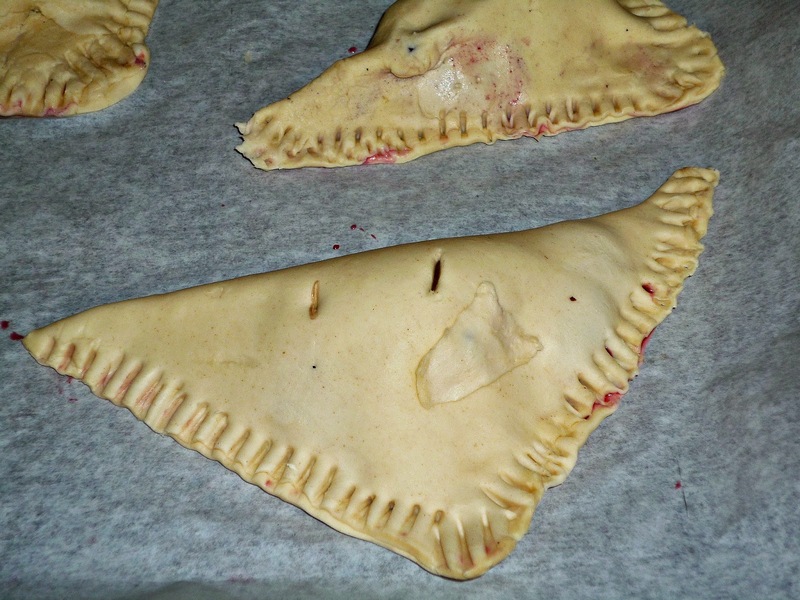 Use a fork to tightly seal the edges of the turnovers. Finally, use a sharp knife, cut three small slits on top of each turnover. Bake the turnovers for 15-20 minutes, until golden-brown and puffed. Step 3: It's normal for some of the filling to come out of the turnovers as they bake. They look a bit like modern art...but they still taste great! When the turnovers come out of the oven, carefully dredge them in the cinnamon sugar mixture. 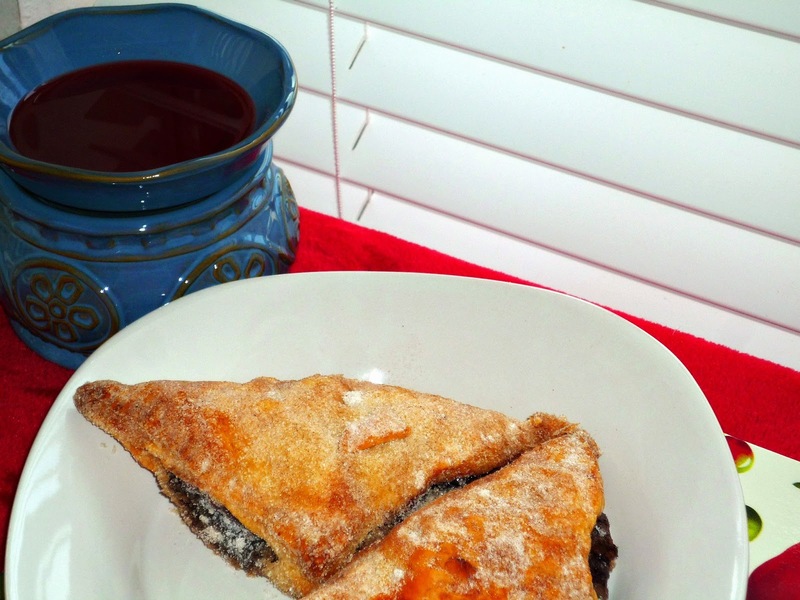 Serve the turnovers warm so you can enjoy the melted pockets of chocolate. 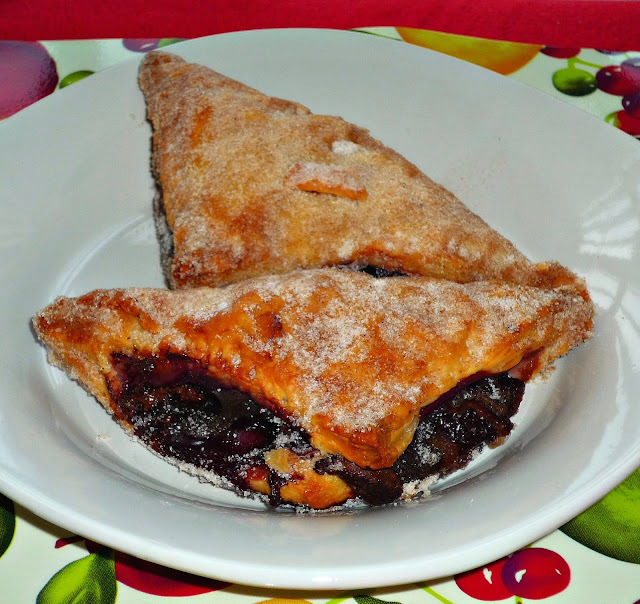 These turnovers are choc-cherry heaven! The flaky, cinnamon sugar-coated pastry gives way to the sweet-tart burst of cherries…and the rich melted chocolate and creamy cocoa filling. These turnovers are easy to whip up for a relaxing weekend brunch…or after-dinner dessert. 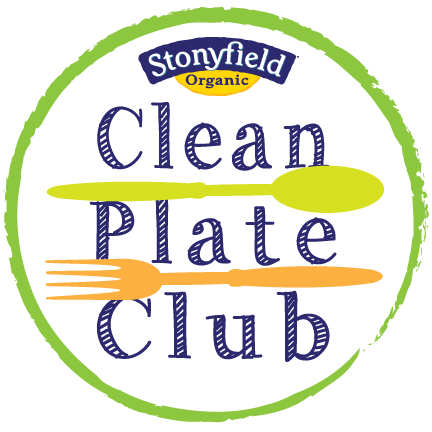 Since the filling has dairy, be sure to keep any leftovers refrigerated. They reheat perfectly after 15 seconds in the microwave. I love to plug in my Glade® warmer and let the feminine scent of Blooming Peony & Cherry™ set the mood…add a cup of hot tea and these turnovers, and I have a perfect “me time” experience. 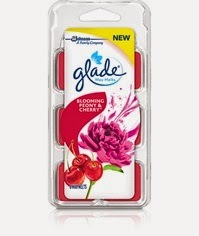 I'm not the only one whose creativity has been transformed by Glade's® Spring scents. As this video shows, they also helped Cirque du Soleil bring to life their Spring performance. Disclosure: Glade provided me with a selection of their Spring wax melt scents and an electronic warmer to facilitate this post. All opinions expressed are solely my own.